So, You Want To Do Your Own Landscaping? There are many reasons why you might decide that you want to take a stab at doing your own landscaping. Right off the bat, if you start shopping around with local landscaping companies you’ll often find that general upkeep is quite expensive, and depending on your budget any larger projects may be prohibitively so. There are other reasons why you may want to do your own landscaping too. Some people find it calming. The repetitive and relatively straight forward work can help to clear the mind if your one of those people who can get lost in what they’re doing. Some people may also enjoy the art of it. You can get pretty creative with how you lay out your plants and design your yard. There’s something to be said for being proud of your home and the grounds that surround it. A great way to make the features of your yard pop are to arrange stonework of some sort along the borders. A great example of this could be where your flower beds meet the lawn, or perhaps at the edge of a lawn and the gravel base for a fire pit. There’s a little bit more to it than just laying some rocks around the border though. 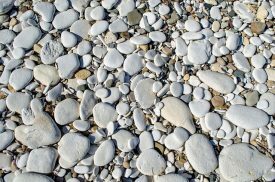 If you want the style to stick around for a few years through the seasons and the weather, you’re going to want to choose rocks of a bit larger size. You’re also going to want to match up the shapes of the rocks so that they fit well together when you lay them next to each other. 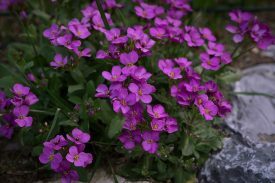 The types of rocks you use and the colors of the rocks will also be a variable you can play with to get an arrangement that matches your yard. Once you have all of this squared away, you’ll want to dig a shallow trench for the rocks to nestle in, then backfill with either small stones or some of the dirt you removed. This ensures that the stonework stays in place when you’re mowing, edging, or similar. Your larger foliage is going to attract a lot of attention from viewers’ eyes. It’s important that you make them as presentable and agreeable as possible. Aside from the obvious benefits of pruning these larger pieces of foliage and making sure they are plenty healthy so that they have nice, vibrant leaves or needles, it can be worthwhile to accent the bases of the plants. There are a few way to goes about this specifically, but the main idea is to mound the soil up around the base of the plant. The extra height will draw attention in itself, then all you’ll have to do is focus that attention. You can do so with a brightly colored mulch, or my personal favorite some small pebbles or round stones. These two actions alone will make your landscaping stand out from your neighbors. Give it a try you just might be surprised with the results they yield.